Hypothyroidism (underactive thyroid) is a condition in which your thyroid gland doesn't produce enough of certain important hormones. Women are more likely to have hypothyroidism as it upsets the normal balance of chemical reactions in your body. Thyroid disorders are common affecting about 12 percent of Americans at some point during their lives. According to healthline.com, the thyroid is a small, butterfly-shaped gland that drapes across the front of your windpipe. For an idea on location, you will feel your thyroid by placing two fingers on the side of your windpipe. After swallowing, the gland slides under your fingers. The gland releases a thyroid hormone, which controls the growth and metabolism of essentially every part of your body. 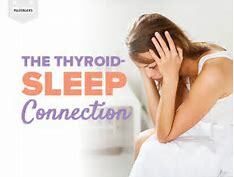 The pituitary gland in the middle of your head monitors your physiology and releases thyroid-stimulating hormone (TSH). TSH is the signal to the thyroid gland to release thyroid hormone (1).